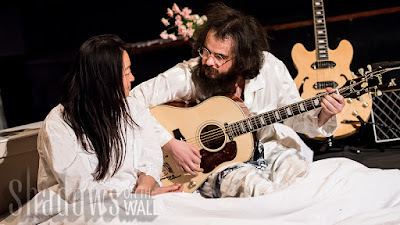 It's the 50th anniversary of John Lennon and Yoko Ono's infamous bed-in for peace, held in a Montreal hotel room shortly after they got married. For two weeks, they held court as a protest against war and violence, entering into conversations that would change their minds and fuel their artistic expression for the rest of their lives. Two of Lennon's most iconic songs grew out of this event: Give Peace a Chance and Imagine. 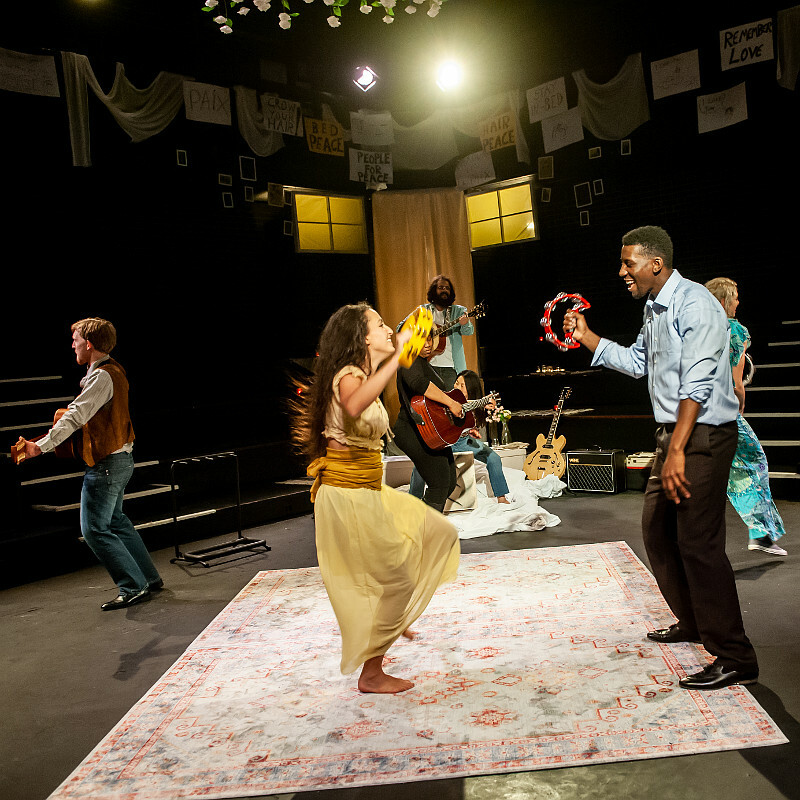 Presented by Craft Theatre, the show has a loose, improvisational feel, performed in the round with actors seemingly making everything up as they go along, sometimes drawing the audience into the performance. The roles are very physical, involving acrobatics and re-enactments of various events, from student protests that turned violent to the press circus of the bed-in, climaxing with the recording session in the hotel room for Give Peace a Chance. The show includes quite a bit of music by Lennon and Paul McCartney. In the central roles, Craig Edgley and Jung Sun Hollander give John and Yoko a complex sensitivity. They are giddily happy, outrageously wealthy and globally famous, so they didn't stop to think about the signals that might be sent while staging a non-violent protest in a 5-star hotel room. But even as they are hilariously wrapped up in each other, often literally, they take the time to listen to those who come to debate them, opening their minds to possibilities, seeking genuine reconciliation and working toward lasting peace. The surrounding actors play several roles, and all are superb. Standouts are Thomas Ababio and Amelia Parillon who, as various characters, draw attention to angles of bigotry that relate to race and gender. Some of this is obvious, such as through a specific anecdote or an eloquent rant; more effective are the quietly askance moments that involve vulnerability and yearning. Joshua Macgregor and Lyna Dubarry have more difficult moments in which they capture the flip sides of the arguments, antagonising without trying to do so. And the show's producer Helen Foster is also excellent as cheeky host. The material is sometimes a bit dense and wordy, talking intelligently around some enormous issues. But the minimalistic sets, evocative props and sharp lighting help focus the attention. These are themes that still strike a major chord half a century later, especially with today's divisive political landscape. It seems far too easy to disagree about pretty much anything, really. And actually giving peace a chance feels almost like a pipe dream. But this play makes us, yes, imagine that some small act of peaceful anarchy might keep the ball rolling.